Dr. Michael S. Watson grew up in the mountains of North Carolina. He graduated from the University of North Carolina at Chapel Hill in 1989 with a degree in Chemistry and received his DDS from the UNC School of Dentistry in Chapel Hill in 1993. He completed a postgraduate training program in Esthetic Dentistry at University of Missouri – Kansas City in 1996. 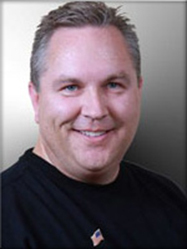 He has completed numerous courses at the Las Vegas Institute for Advanced Dental Studies. He maintains a general practice in Cary, NC, which, in addition to general dentistry, focuses on esthetics, neuromuscular dentistry, and treatment of TMD. He and his wife, Jennifer, have two lovely daughters, ages 5 and 12.